I was looking for a census entry for the Waynick family and found this entry which is an excellent example of why we should always check the census images AND surrounding households. The census entry as it is indexed makes it appear that 5 year old Dillard is living in the household of John Jordan. If you look at the image below, you will see what has happened. The census taker M.F. Shelton has realized that he omitted Dillard. He has added Dillard at the bottom of the page in the middle of another household entry. The 9 year old twins are on the next page. Yes the census taker does note that Nancy and Missouri Lee are twins. I wondered if they were actually supposed to be in the Jordan household. Who knows.....No notation is shown beside their names other than noting that they are twins. This entry is from 1860 Federal Census Middle District of Dickson County Tennessee. I would also like to add that it is good to check the very last page of each District in which you have an ancestor. This is especially true if someone isn't in the census and you think they should be there. Several times I've found that the enumerators listed folks that hey had omitted from the household. I've also found several mothers who list all of their married adult children as still living at home. Duplicate entries can also occur with people listed in different districts and when a person is living/working in homes other than that of their parents. Does this hold true in your census research as well? The call for bids to build the courthouse and jail in Smithville. Dekalb County Tennessee was formed in 1837 but not officially organized til March of 1838. Researchers who are using autosomal DNA testing know the importance of testing as many of your known relatives as possible, especially the elders of the family. I love it when a 2nd cousin shows up among my matches because that can help in sorting. I don't know about you, but I don't have a money tree. In the absence of unlimited funds to purchase atDNA tests, something that I have had success with is finding those 2C1R, 2C2R, 3C, 3C1R and so on that I do not know who have tested. After my grandparents passed we did not have the family gatherings every few years so I haven't kept up with my cousins who are spread across the US. With the over abundance of testers with very small trees in my matches, the odds are in my favor that there are those among my matches who aren't showing up in the AncestryDNA circles because their tree isn't built out far enough. I think this is one of the times when having Colonial American lines really makes things easier. This process will not work if you have only a handful of 4th or closer cousins. If that is the case for you I would suggest working the first few pages of your Distant Cousins to see which of the 4th cousins are SHARED for you and that Distant Cousin. My Cook lines and also my Jakes/Harger lines(both paternal) are ones I have been focusing on lately. I have a lot of genealogical questions for which I'd like to find answers. The steps are pretty much the same regardless of which group I choose. Browse thru the Shared Matches that you share with that cousin. Pick a few that have the smaller trees to build out in search of the MRCA. Don't ignore the larger trees. Look at all the ones that aren't in the circle to see if they have a path that might lead to the Focus Ancestor. I've found many who were only a generation away from the MRCA which would have put them in the circle. 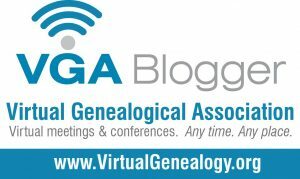 Contact the match with any knew information you find and ask them to consider uploading to GEDmatch. It's always nice to get a message from someone who can extend your family tree. Utilize the NOTES feature on your match's page. Connections lead to more connections as each of you may have documents, pictures or stories that would help the other in their research. I guess this is why it upsets me a great deal when I cross paths with a researcher who is only researching his or her direct line. Don't be someone who misses out on finding that extra something just because you are only interested in your direct line. best kind of Copper Stills. From the 1826 Madison Co TN probate records of Charles S. Barthe, I found the contents of a mercantile store listed--much of which is liquor. As I first read though the inventory list I had wondered if it might have been a tavern due to the amount of drinks and glasses. Further along in the inventory listing there are large amounts of grains, household goods, fabrics, and medicines as well as work tools. Perhaps the large stock of alcohol was due to it being used as more than just a good drink? It was a pain medicine, tonic, cough syrup and in some cases a disinfectant. I found this article which mentions Rockvale, TN while researching another story but thought this was worth mentioning. Was Horace Odell Holder any relation to me? I thought I'd check since I have many family lines in that area. As it happens, we share a 4th Great Grandparent, Mark Lambert Jackson. He descends thru Mark's first wife Drucilla Rainey, while my connection is thru that of his 2nd wife Leannah Basey Webb. That makes us 1/2 5th Cousins. I found an entry in a Virginia Directory for a Horace O Holder and wife but I am not sure if this is the same person or not. This Horace O Holder is listed as USN. The couple were divorced in the same year the directory covers and had only married the year before in Savannah Georgia according to Divorce Papers also available at Ancestry.com. This will take further research to determine if this is the same Horace O Holder as the one from Rockvale. I've been working with probate files a lot lately. I have many ancestors who were living in Williamson Co TN in the early 1800s. There is a database at Ancestry which is called Tennessee, Divorce and Other Records, 1800-1965. While it does showcase the divorce records, the Williamson County TN section of this database is where I have been finding probate packets. Probate packets are files which contain all the information used in wrapping up a person's estate after their death. Additional court records if there are minor heirs or if a will is contested etc. Affidavits on a number of subjects. In addition to Williamson County, the database contains the following TN counties: Anderson, Carroll, Cheatham, Dickson, Franklin, Haywood, Henderson, Obion, and Tipton. The Tennessee, Divorce and Other Records, 1800-1965 is a part of the Wills & Probates, Estates & Guardian Records Collection at Ancestry.com. If you save the files to your tree please be sure they are listed as probate and not divorce facts. Several years ago when I added a probate file for my Putmans from this database it would list the event as a divorce rather than a probate. This is fixable but not without some work manually editing sorce. This is likely something which could occur in mixed records sets and may be propagated if people aren't paying attention while they are adding the documents. Consult the database at Ancestry.com(if you aren't subscribed you may be able to view while at your local library.) Many of these files are also available at FamilySearch.org. Check the catalog there under Tennessee and the county in which you are interested.